With St. Patrick’s Day quickly approaching, it is time to start booking a room or suite with the 1840s Carrollton Inn! Use the February and March winter rates to your advantage this St. Patrick’s Day. There are many events in Baltimore for you to celebrate this holiday! The St. Patrick’s Day Parade is always a favorite for locals and tourists alike. This year, it will be held on March 16th at the Washington Monument, starting at 2 p.m. and continues down North Charles Street to Pratt Street towards the Inner Harbor. There are plenty of great Irish restaurants, pubs and bars to enjoy throughout the weekend. Try out Slainte Irish Pub and Restaurant, Mick O’Shea’s Irish Pub, The James Joyce Pub, The Life of Reilly Irish Pub and Restaurant, Delia Foley’s, In Like Flynn Tavern, Ryan’s Daughter, Patrick’s of Pratt Street, Liam Flynn’s Ale House, Quigley’s Half-Irish Pub (for those who might like some American fare, as well) or Looney’s Pub. Let us know which restaurant you choose and how you liked it! This will be very helpful to future guests visiting with us at the 1840s Carrollton Inn. Not interested in celebrating St. Patrick’s Day? Don’t worry! There are plenty of other events for all guests to partake in! For a list of events in Baltimore and for more information, click here! 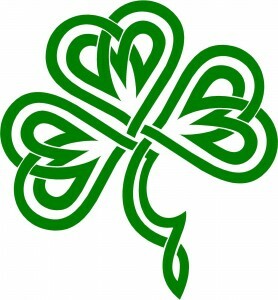 There are many great area museums and sites to see if you are not interested in the St. Patrick’s Day celebrations. Or, you can just enjoy a peaceful and quiet weekend at the 1840s Carrollton Inn, staying cozy and warm and enjoying the beauty of the decor and a delicious breakfast. For a list of discounted rooms and availability, click here! We look forward to hosting you for your next visit to Baltimore! See you soon!